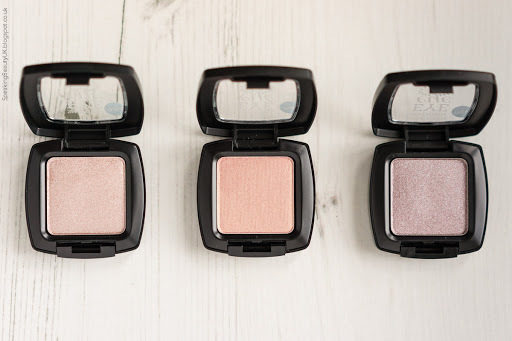 I'm usually not the biggest fan of budget eyeshadows as they tend to be slightly poor in quality and pigmentation. I don't want to sound like a beauty snob but I think once you try good quality products it can be hard to like anything different. 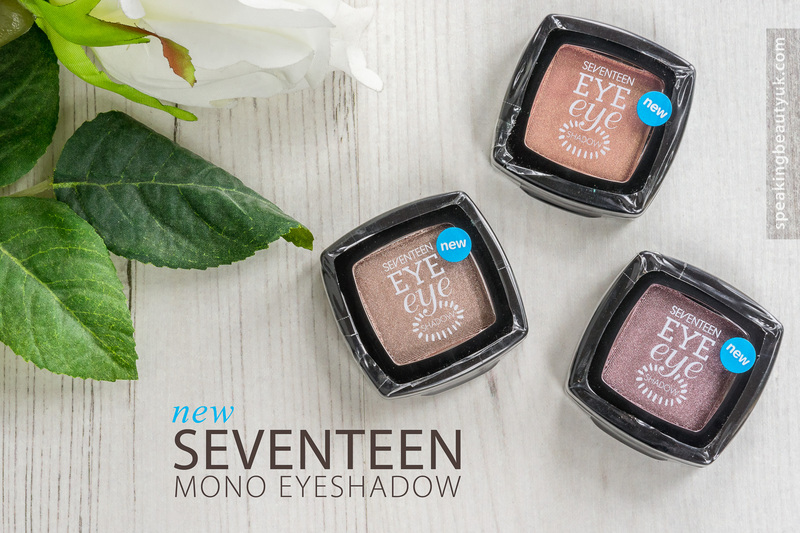 But I saw Fleur DeForce raving about one of these new Seventeen Mono Eyeshadows and I felt tempted to give them a try. There was a buy 1 get 2nd half price in Boots so I picked up 3 shadows that were my favourite out of the options available in store. Sadly the promotion is no longer available but these eyeshadows are pretty affordable anyway, at £3.89 each. I got the shade Rose Quartz, which is my absolute favourite. It's essentially a taupe with a hint of lilac. A bit like a powder version of the By Terry Ombre Blackstar in Misty Rock. This was the shade that Fleur DeForce recommened and I agree with her. It's beautiful! Then I decided to also try Statuesque, which is a pretty neutral shimmery pink. 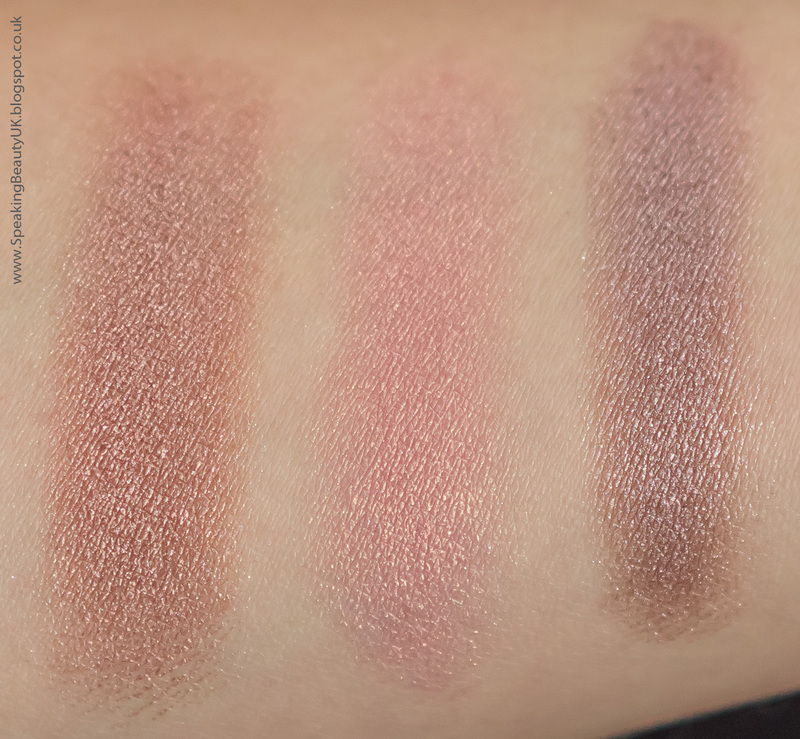 Similar to Liar from the Naked 3 palette and a slightly more pink version of Mac All That Glitters eyeshadow. I also really like this one. Lastly I got Funfair. That was the only disappointing one out of the 3. The pigmentation just isn't as good as the other 2. And to make it worse, I didn't really like the colour on me. It's a peach with golden flecks and a bit of an orange tone to it. If you like Expensive Pink from Mac, though, you'd probably like this one, as they're very similar. Love the simple but sturdy packaging. The formula of these is generally super soft, so soft I've seen people complaining they smash easily, which is a shame, as I feel I can't take them anywhere. But the pigmentation and colour pay off are pretty good for the price. I always use eye primer and my experience is they lasted as well as any other more expensive shadows. I love the metallic finish and the shade selection is fairly good. Although weirdly I can't find all the shades on Boot's website, I've seen lots of pretty ones in store. They have a bronze shade (which I'm keen to try), black, silver, beige (flesh tone), a gorgeous midnight blue and some other more vibrant options. All mainly shimmery but I think they've got a couple of matte ones too. These can be used wet or dry but I have only tried them dry so far.